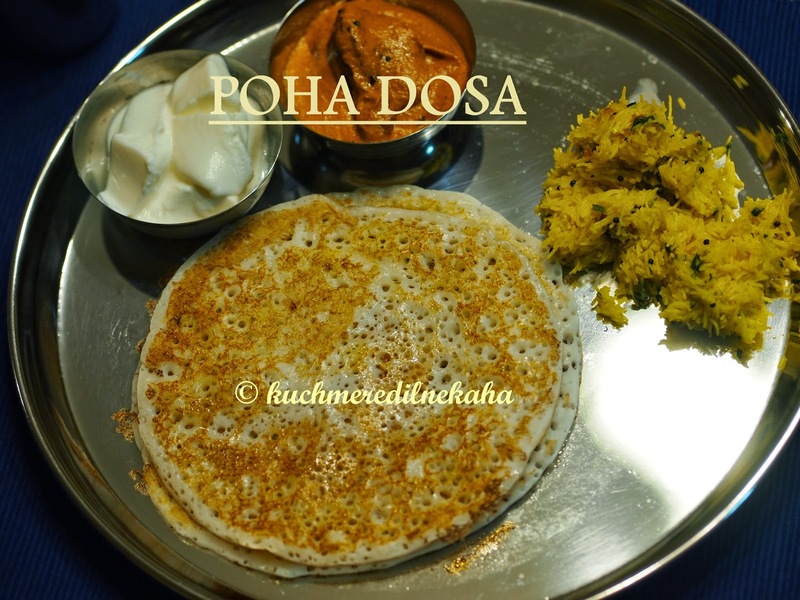 Poha dosa... I had tasted it long time back and it was prepared so well by my friend's mum in India. This dosa is an Andhra speciality. It so happened that I felt like eating dosa but soon realised that I was out of urad dal. 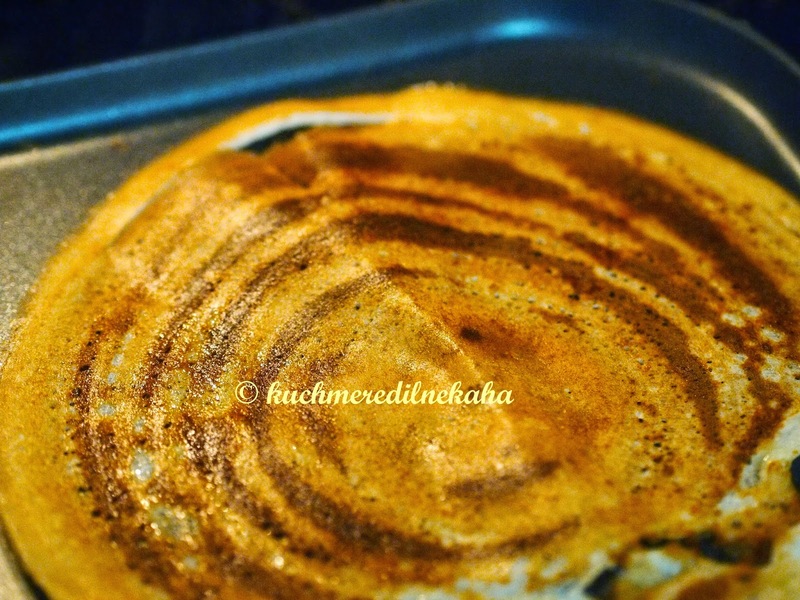 That's when I remembered this dosa, so started searching for a good recipe to make it. I found a good recipe in Sailu's space. In Andhra , it is called "Attukula Attu". 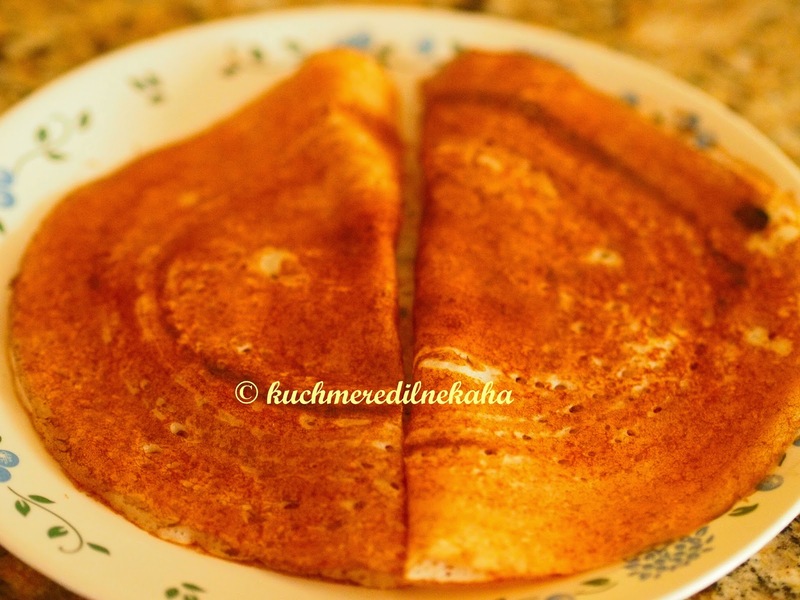 Since it has a soft and spongy texture , it is also called SPONGE DOSA sometimes. Traditionally, this dosa is not spread in to a thin dosa. 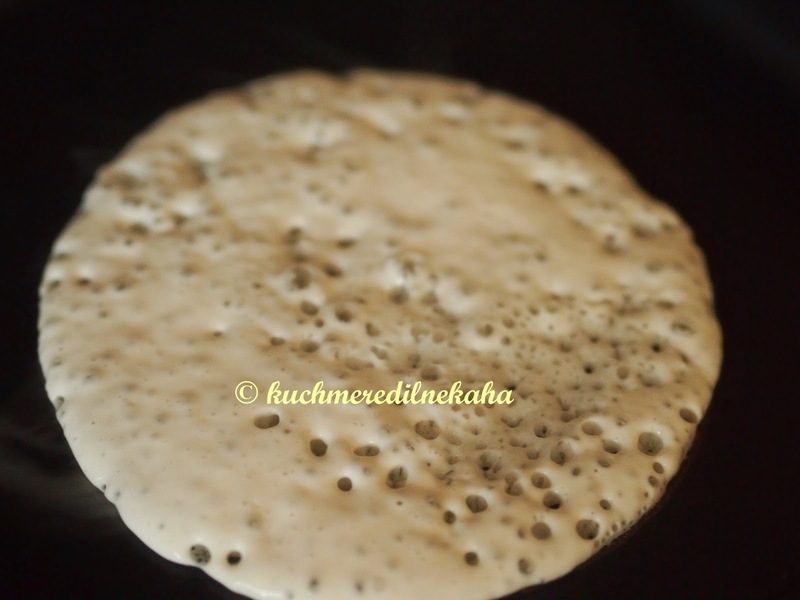 We just pour a laddleful of batter on the hot tawa and just spread it a little with back side of the laddle. But since my DH likes thin dosas, I did try spreading them thin and they did turn out great in that way too. So I made this dosa in two ways . Thick dosas for my DS and thin style for my DH. We loved dosas in both the styles. But I liked the thick style dosas more. I served POHA DOSA with the PEARL ONION CHUTNEY. Wash the rice and then soak the rice, poha and the methi seeds in the buttermilk for a good 8- 10 hours (overnight). 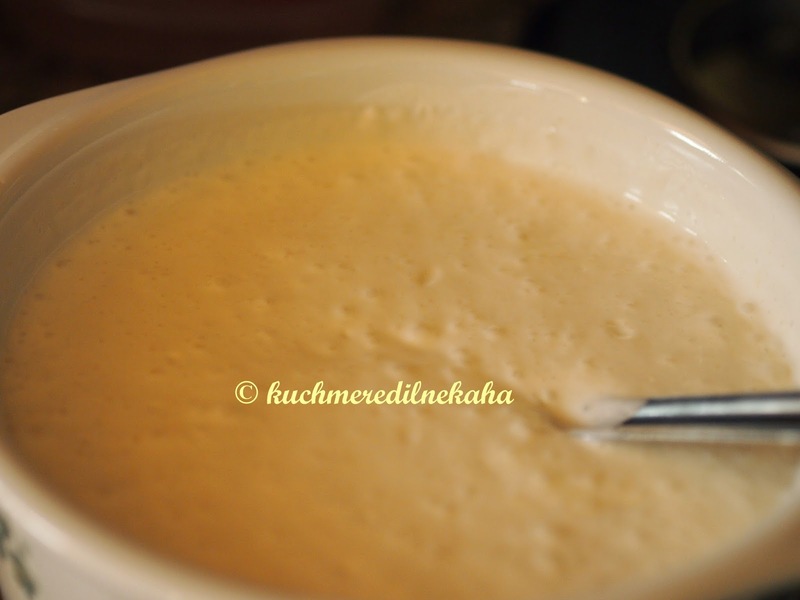 Now grind this soaked mixture into a fine batter.The batter should be of pouring consistency. Add salt and baking soda and mix well and set it aside to rest for another 2 hours. 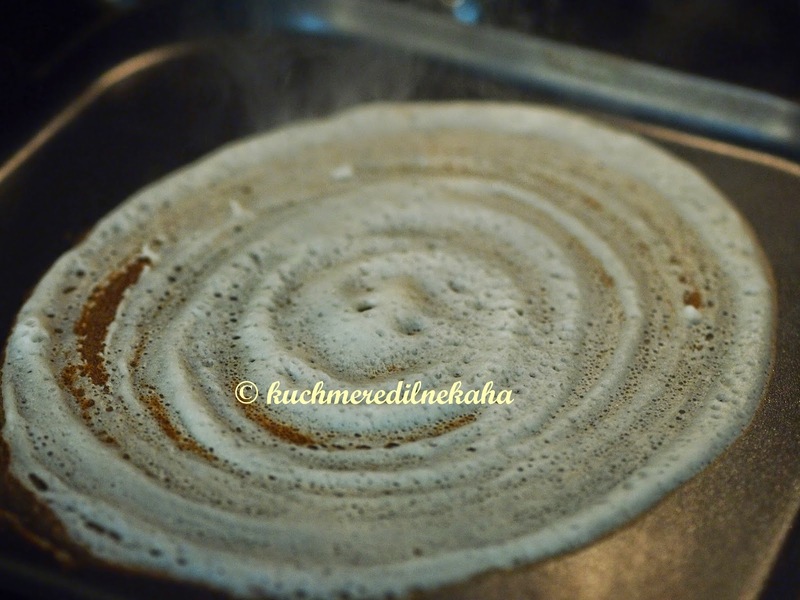 Pour half tsp of oil along the edges and cook the dosa by covering the tawa with a lid. You should see holes appearing on the surface . 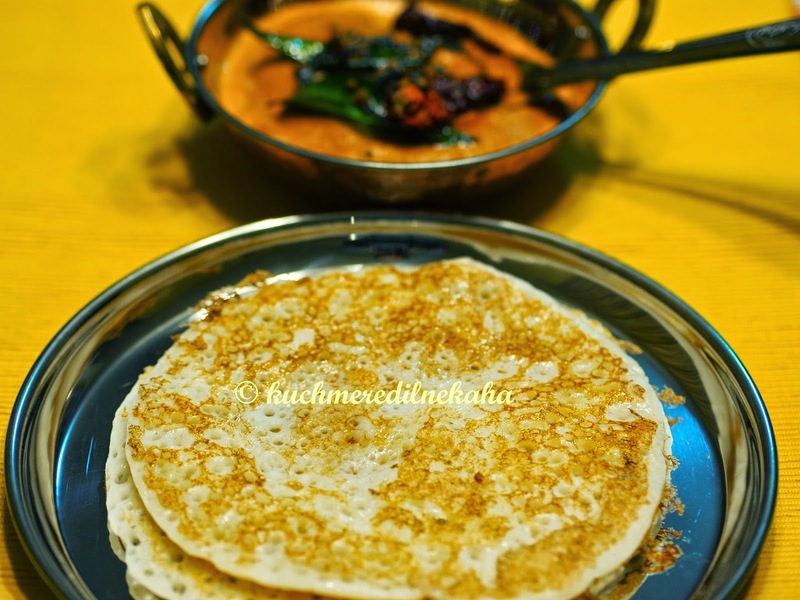 Once the rawness disappears from the top of the dosa, it is time to flip it.. Remember it is really necessary that all the rawness has to disappear or else you will loose all those holes as soon as you flip it. For the other side , you do not need to cover the tawa while the dosa is getting cooked. Also, it is entirely optional to flip the dosa. But I personally like to get the shades of brown on top of the dosa. While making THIN style dosa ,each time you remove the prepared dosa from the tawa, wipe the tawa with a wet paper towel before making the next dosa. This process helps in making dosas smoothly. Also in this case, apply ghee on the surface of the dosa to a get nice crisp texture. While making THICK style Poha Dosa,the tawa has to very hot to begin with then reduce the heat to medium when to start to make dosas. As I have mentioned above, while making THICK style dosa, it is very important that all the rawness should disappear. Only then flip the dosa. This will ensure nice spots or holes on the dosa as you see in the pics above. I used thin rice flakes or poha. But I think the thick variety should work well too. Both styles of Poha Dosa were a big hit. I served it with Pearl onion chutney, Shaavige baath and yogurt. Got to try this dosa, it's new to me! 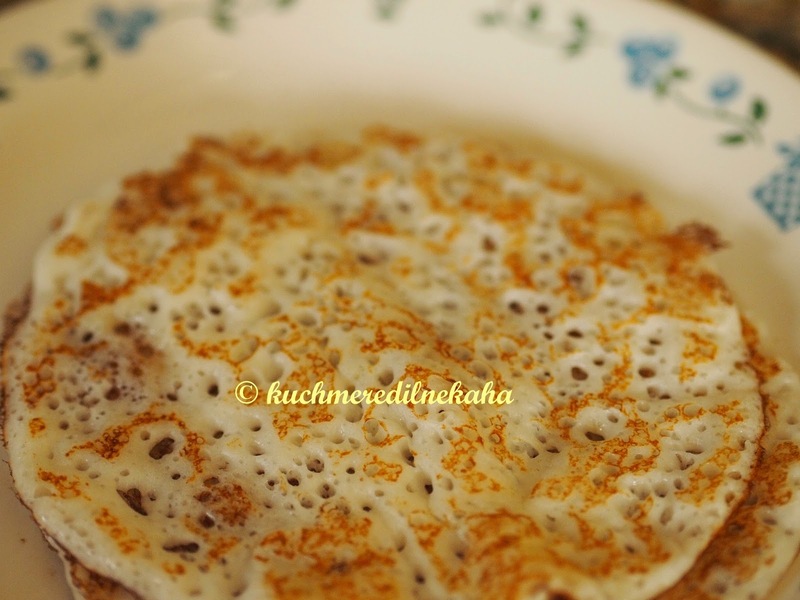 Yummy awalakki dosas..we too prepare the same way..but no cooking soda..